Is war like a video game? Prince Harry of Wales thinks so. 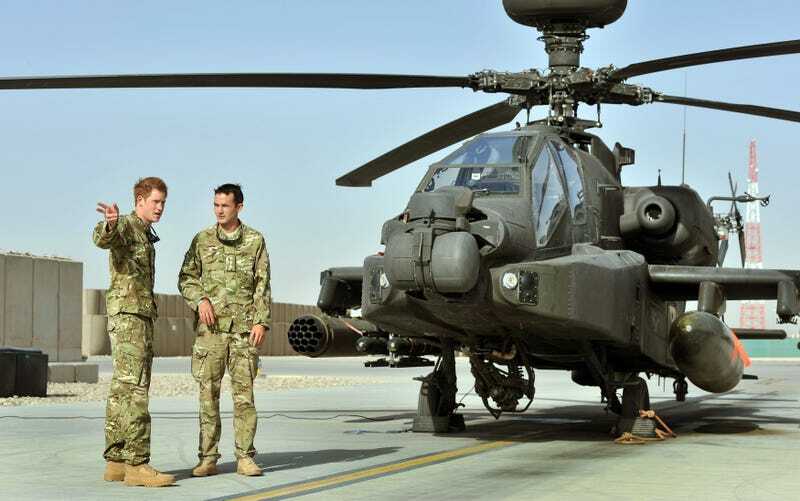 Earlier today, The Telegraph reported that Prince Harry compared piloting an Apache to playing a video game. "It's a joy for me because I'm one of those people who loves playing PlayStation and Xbox, so with my thumbs I like to think I'm probably quite useful," Prince Harry stated. "This statement is not even worth condemning. It is worse than that," Zabihullah Mujahid, a Taliban spokesman, told London's Telegraph. "To describe the war in Afghanistan as a game demeans anyone—especially a prince, who is supposed to be made of better things." "It's not a game. It's very, very real," the Taliban declared. It should be noted that video games have been used for both military recruitment and training, but that doesn't really make Harry's statements less insensitive and possibly damaging when it comes to the relations between soldiers and Afghan locals.